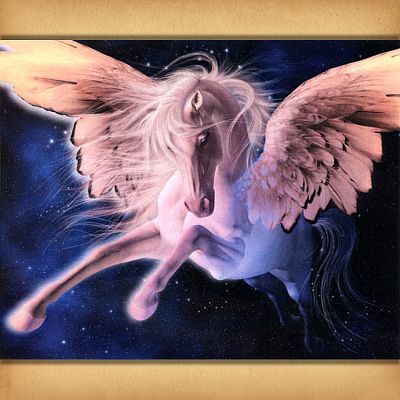 - Bursting with light, and life and magic, this fantastic pegasus design will take your breath away. 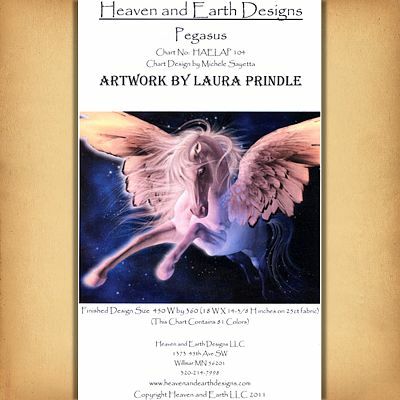 Based on artwork by Laurie Prindle. This design is 450 stitches wide by 360 stitches high. Pattern is 24 pages. Copyright - Heaven and Earth Designs, Inc.
Do you have any other questions about our "Pegasus" Cross Stitch Pattern?